Chris (aka Soul Train) is the chief fabricator for REEB Cycles and he is posing next to the SqWEEB prototype full suspension Plus bike with 135mm of rear travel (click to enlarge). 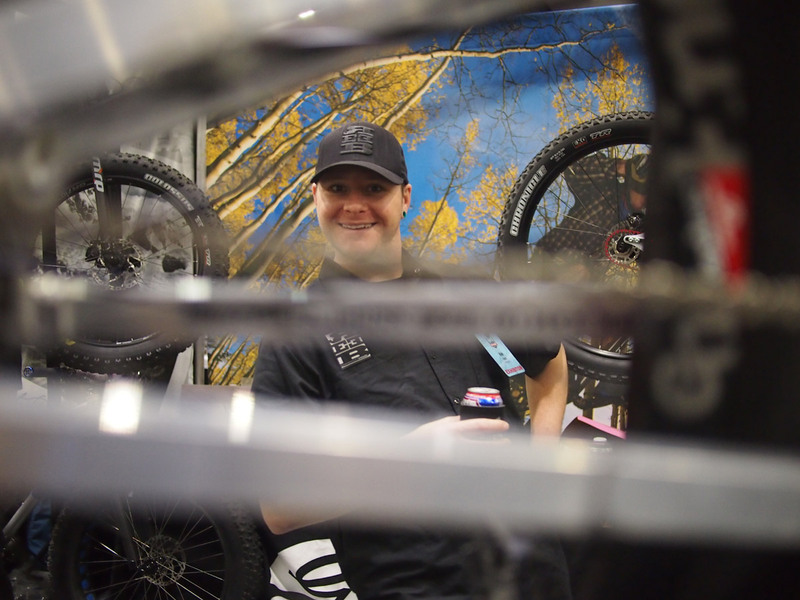 At the recent North American Handmade Bicycle Show (NAHBS) I had a chance too meet Chris (aka Soul Train) from REEB Cycles, an outfit based out of Longmont, Colorado. They are a fairly new company started in 2011 by one of the guys who owns Oskar Blues Brewery, which is where the name comes from (because beer spelled backwards is…) They specialize in building steel fat bikes and hardtails, although they have recently ventured into bikes made from titanium and with their all new SqWEEB (squishy REEB), aluminum. A nice machined head badge adornes the SqWEEB prototype (click to enlarge). The SqWEEB is REEB’s first full suspension bike and their first aluminum bike and first curvy tubed bike. The curves are to provide clearance for the shock and tires. The SqWEEB frame is 6000 series aluminum and has 135mm of rear travel. It is built on a 29er platform but the final production versions will be 27.5 Plus compatible. The bike shown here is a completely unridden prototype that came together just in time for the show. 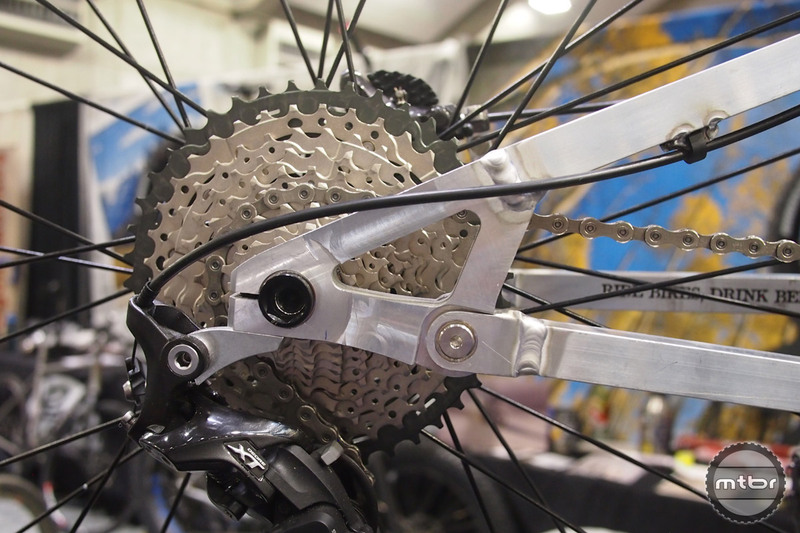 The SqWEEB uses a four bar linkage design and is equipped with an MRP Raze shock, Syntace X-12 dropouts and BOOST spacing. The geometry is on the aggressive side and the chain stay length is the same as the traditional REEB Dikyelous hardtail while the design creates minimal chain growth throughout the travel. A beautiful shot of the SqWEEB with auspicious Oskar Blues beer placements (click to enlarge). 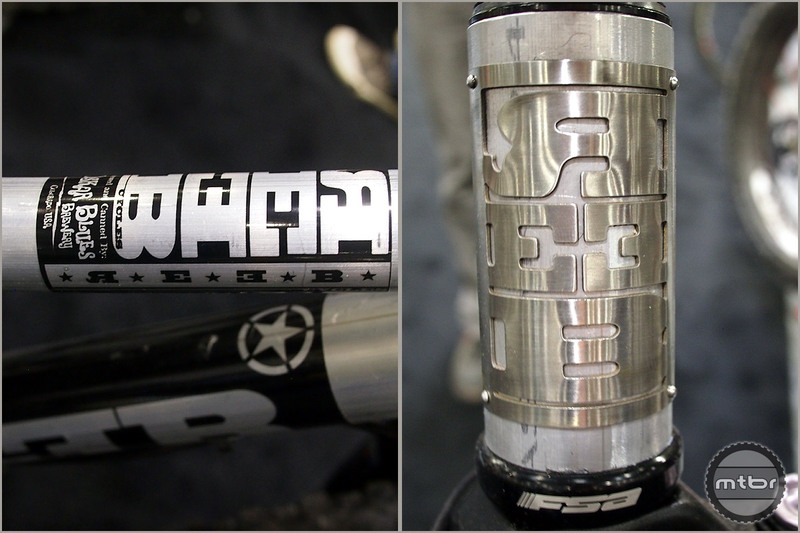 REEB is a growing brand and Chris said that they built just over 200 frames last year, which is about 30% growth over the previous year. Expected availability for the REEB SqWEEB is Spring 2017. For more information visit www.reebcycles.com. Kyle is a welder by trade and help out with REEB part time. Here he is messin’ with my photo setup. 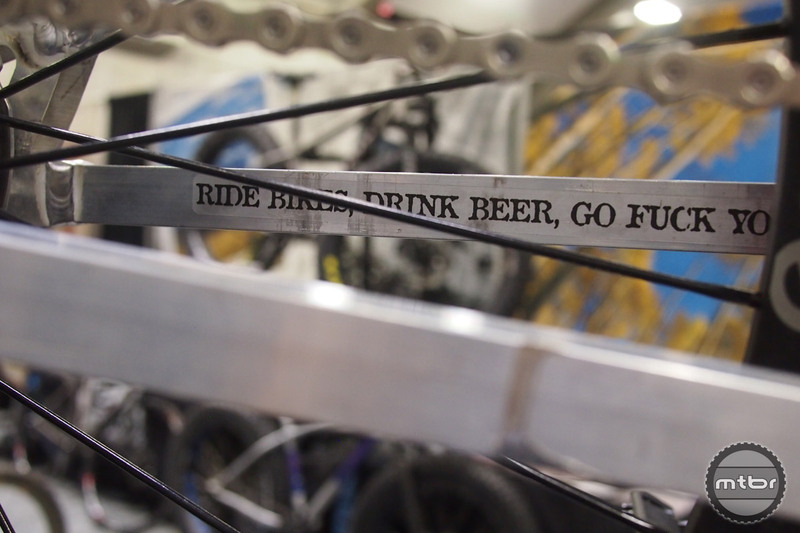 Ride bikes, drink beer, go have fun. A beautiful shot of the SqWEEB with auspicious Oskar Blues beer placements. A nice machined head badge adornes the SqWEEB prototype. 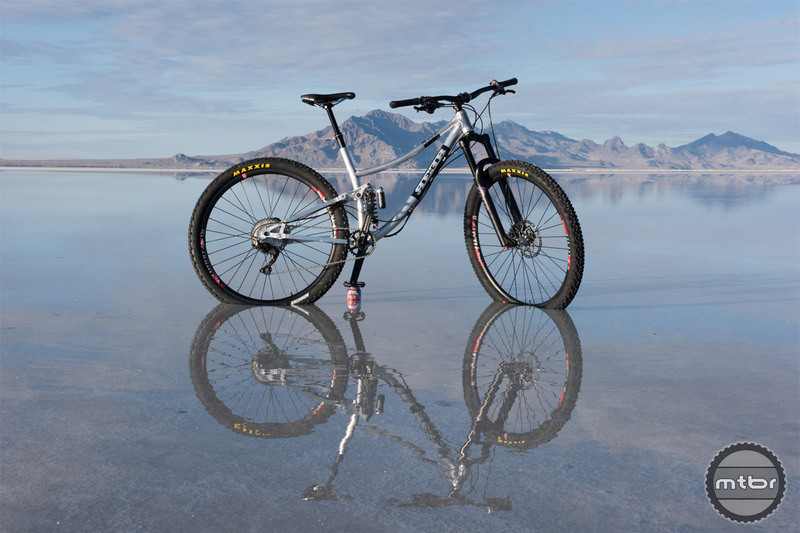 REEB uses a traditional four-bar style rear suspension design. 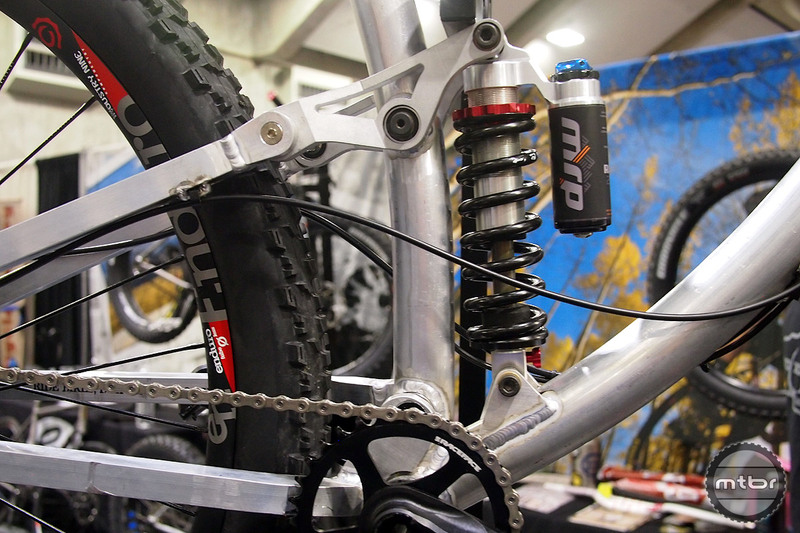 REEB uses a traditional four-bar style rear suspension design with MRP RAZE shock and fork. 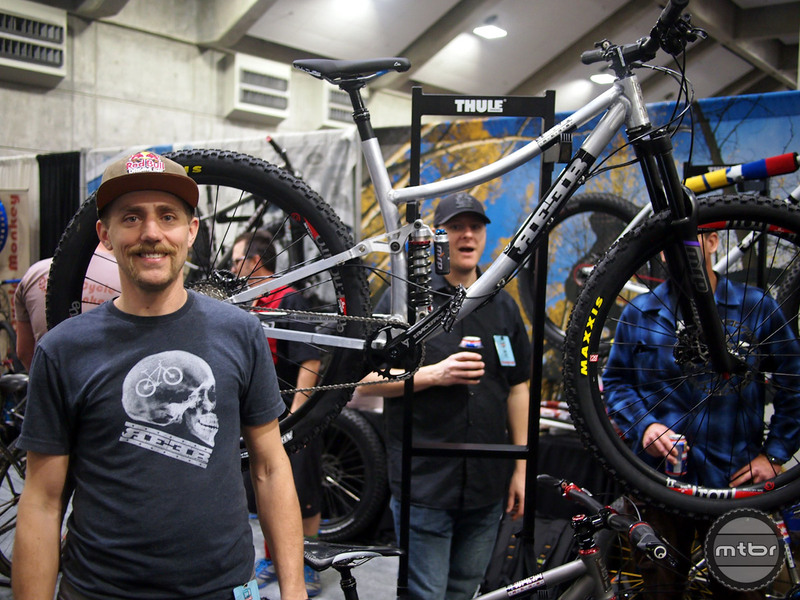 Chris (aka Soul Train) is the chief fabricator for REEB Cycles and he is posing next to the SqWEEB prototype full suspension Plus bike with 135mm of rear travel.